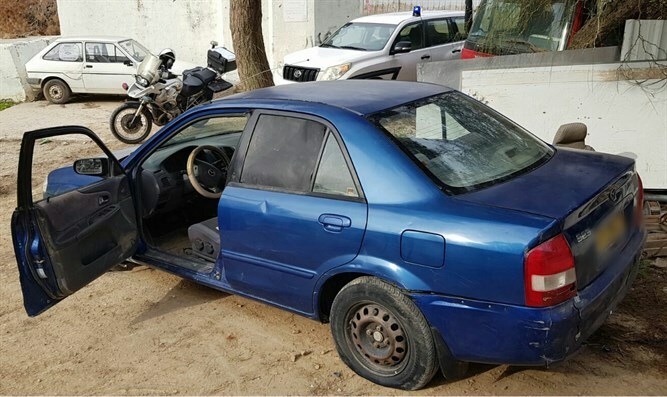 Arab car thief steals Israeli car in western Samaria carrying 5-year-old boy. An Israeli car carrying a small child was stolen by an Arab car thief in western Samaria Tuesday afternoon. The incident occurred near the Arab village of Nilin, near the Israeli city of Modiin Illit. After the car thief made off with the vehicle, he noticed that a boy, roughly five years of age, was sitting in the back seat. The thief then pulled over to the shoulder and ordered the child to exit the vehicle. After the child exited the car, the thief drove off with the car. The child was later recovered, with no injuries. Israeli police and army forces have been dispatched to the area and are searching for the thief.